The last time the New Jersey Devils saw postseason hockey was in 2012 when they lost in the Stanley Cup Finals. The Devils are looking to stop their 5 year drought with the help of some off-season moves. 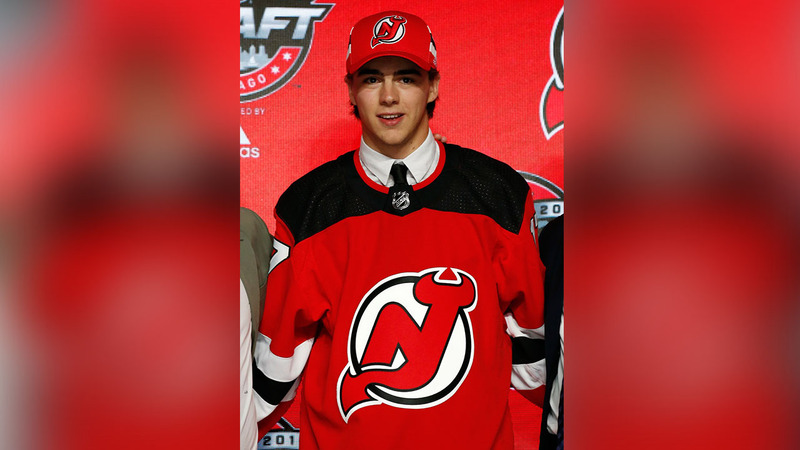 The biggest addition is Nico Hischier, the first pick overall in this past June's draft. The 18-year-old center is projected to play on a line with veteran Adam Henrique and newly acquired veteran Marcus Johanssen, who signed with New Jersey in free agency. While the Devils opted to let most of their own free agents walk, they snapped up 11 draft picks. Surrounding Hischier with veterans on both sides in his rookie year should add to his growth and development. You can't talk about the Devils offense without mentioning Taylor Hall, who ended the year tied with Kylie Palmieri for a team leading 53 points. Just behind them is fellow line mate Travis Zajac, who will be on the mend (4 to 6 months) after his pectoral injury. But those numbers can be deceptive. They ranked 28th out of 30 in goals forced, all while finishing 16th in the conference and 8th in their division. The Devils hope newly acquired players like Brian Boyle and Drew Stafford will add valuable veteran presence to a young team, keeping the onus from falling entirely on Hall and Palmieri. New Jersey's defense is lead by Captain Andy Greene and John Moore. Reports suggest the team is still looking to sign Damon Severson, who is the only remaining restricted free agent on the Devils. But that defense last year was abysmal, ranking 25th out of 30 teams in goals against. Not giving much support for net minder Corey Schneider. The NHL has shown that teams can be very successful with average goaltending as long as their best players perform up to par. The Devils have a big upside with a crop of young talent. Look for this team to add players from their system and build the chemistry that teams need to be successful. There's a good chance this team can make it into the playoffs as a wild card with a strong push towards the end of the season.